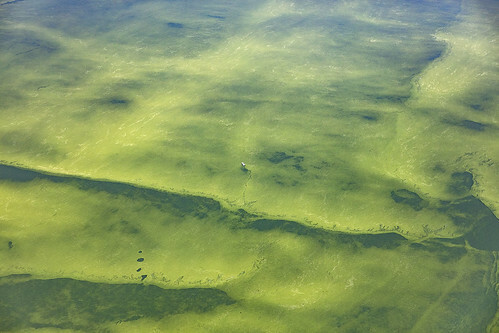 Pilots from Aerodata have been flying over Lake Erie this summer to map out the general scope of Harmful Algal Blooms (HAB) throughout the western basin. In addition to these amazing photos, during the flyovers, additional images are taken by a hyperspectral imager (mounted on the back of the aircraft) to improve our understanding of how to map and detect HABs. The lead PI for this project is Dr. Andrea VanderWoude.